LaRue Nielson Baumgarten, 86, devoted wife, loving mother, faithful Latter-day Saint, passed away Dec. 23, 2016, at the Retreat at Sunbrook, assisted living facility, in St. George, Utah. LaRue was born in Ephraim, Utah, on Aug. 9, 1930, to Niels Adin and Reva LaBelle (Breinholt) Nielson. She was the third of six children and was born about one hour after her twin sister, LaRane. LaRue learned the value of hard work throughout her childhood working with her mother at home and her father on the family sheep farm. Following high school, LaRue and LaRane received associate degrees from Snow College before studying Elementary Education at BYU. While at BYU, LaRue met Edward Baumgarten. They were married May 29, 1952, and both graduated from BYU with baccalaureate degrees the following week. They didn’t have a job, a car or any money, but LaRue said they had “a lot of faith that things would work out.” And they did. They headed to Arizona where they would live the next 32 years in Mesa, and then Douglas, before retiring to St. George, Utah. She once said of Ed, “I’ve enjoyed different friendships in my lifetime and I treasure all of them. My best friend now is my dear husband. No one has as good a friend as I have.” Ed passed away on April 27, 2016. We are comforted to know that they have never spent Christmas apart from each other. Six children were blessed to have Ed and LaRue as parents: Patricia Ann (Larry) Johnson, Auburn, California, Susan LaRue (Paul) Wagner, Modesto California, Julie (Mike) McGary, St. George, Nancy (Donald) May, Phoenix, Arizona, Daniel Edward (Stacy) Baumgarten, Littleton, California, and Victor Adin (Mari) Baumgarten, St. George. LaRue’s life has been characterized by faith in God, service to her church, devotion to her husband and love for her children. 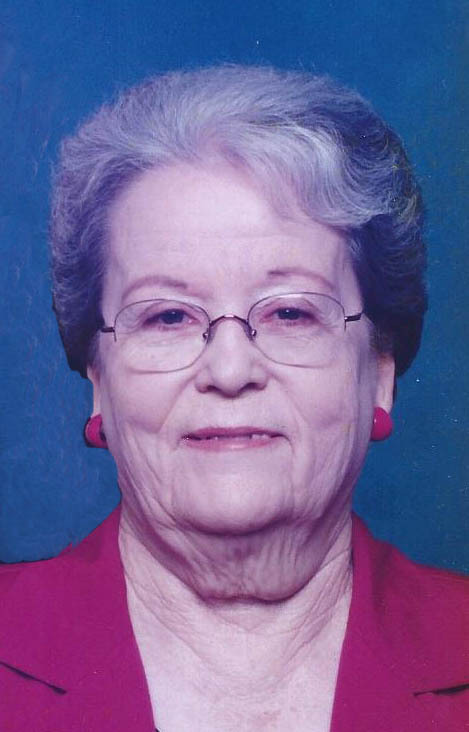 LaRue was preceded in death by her husband, Ed, and her older sister, Beverly. She is survived by her sisters: LaRane, Jenny Lou and Kathleen; her brother, Richard; her six children, 27 grandchildren and 39 great-grandchildren. A visitation will be held, prior to services, Friday, Dec. 30, from 10-10:45 a.m. at Metcalf Mortuary Chapel, 288 W. St. George Blvd, St. George, Utah. Funeral services will be held Friday, at 11 a.m. at Metcalf Mortuary.